The country has not yet been partitioned, as it has not yet been fully conquered. Active resistance in the lowlands is sporadic, and for those 650,000 troops in the alpine redoubt, there is not much to do except wait for an offensive that may never come. Those civilians left behind are plotting and planning. Despite the new government (led by the former Federal Councilor Pilet-Golaz) and their confiscatory gun policy, many have not complied. Those living outside the cities in villages and chalets have not needed to register their weapons. Hans Müsseler is one such man. Having lived in the small village of Clavaleyres all his life (population: 54), he has seen little of the Nazi intruders. He does, however, retain a great deal of pride in his country, and he owns a radio – he is certainly aware of the events of the past few months. He has always been in complete agreement with General Guisan’s repeated calls to continue resistance until the bitter, bitter end – that under no circumstances was a Swiss to surrender. He is 69 years old, and as such, was not qualified even for the Landsturm. He has served his time in the army, though. Müsseler also is an avid hunter, and owns a rifle for this purpose. His daughter lives in Bern proper, and sometimes he visits her. November 9 was a national holiday in Nazi Germany. The anniversary of both the München Putsch in 1923 and Kristallnacht 1938, it is yet another one in that seemingly endless parade of military-themed celebrations. In Bern, Leeb considers it the perfect moment to demonstrate the might of the Wehrmacht, and to that effect, orders that a military review parade be scheduled for the afternoon of the 9th. The only units not on the hinterlands of the Alps are the 260th Infantry Division and an MG battalion. They will do, though. Hans Müsseler has heard of both the holiday and the parade. When he learns that Leeb himself will be on the reviewing stand, he knows exactly what he must do. 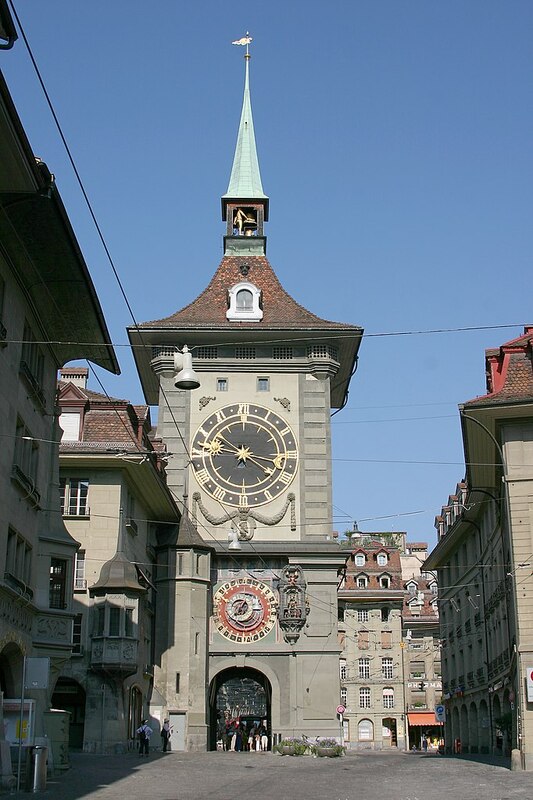 The security around Bern is tight, but by concealing the pieces in his car, Müsseler brings his scoped hunting rifle into the city and to his daughter’s apartment. The rifle is an 1889, the first of the Schmidt-Rubin bolt-action rifles. He had been issued it as a replacement weapon the very year it went into production. It’s a good weapon; light, steady, easy to use. His position is perfect – the reviewing stand is at the end of the Kramgrasse, in the shadow of the Zytglogge clock tower. The sound of the shot is masked by the bells ringing, and Müsseler makes a clean getaway. Generalfeldmarschall Wilhelm von Leeb lies dead on the reviewing stand of the Kramgasse. Hitler’s rage knows no bounds. He rants to all within listening distance about the “despicable churchmice,” the “pimples and warts” of Europe, the “vile cheese-makers” and their “terrorist ways.” He demands that Henri Guisan be strung from the Zytglogge and ordered the reprisal massacres of 561 Swiss who lived in the buildings along the Kramgasse. The atrocities were brutal, but what followed will always be remembered as one of the most terrible environmental travesties in history. 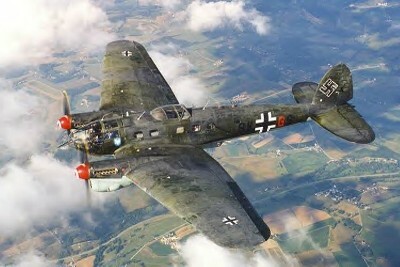 Advised that with winter only a short time away, any offensive into the Alps would meet with disaster, Hitler opted to “blow them out.” For ten straight days, Operation Schneesfeuer (Snowfire) raged, as bombers of the Luftwaffe dropped explosives day and night over the entire range of the Alps. The Matterhorn, that famous mountain overlooking Zermatt and Cervina, had its peak blasted off. Entire glaciers were destroyed, and the heat from the burning Lötschental Valley in the Bernese Alps melted the face of the Langgletscher, inundating the entire valley. This, despite the fact that the Bernese Range was nowhere near the Alps of the National Redoubt. An HE-111 of the Luftwaffe over northern Switzerland, en route to its bombing targets in the Alps. Yet, for all its destructive power, the bombardment did little to change the minds of any Swiss, or even to kill those in the Réduit National. Postwar records would reveal that no more than 21 soldiers were killed, every one of whom had been outside their bunkers when they died. The bombings sparked massive uprisings across the country, most of which were put down, but an isolated band of partisans managed to hold out in the immediate area of the Rütli for several months. The tentative calm that had settled over Switzerland was shattered for the remainder of the war, and soon saboteurs were destroying everything from railway lines to factories. The mind of Hitler was never still for very long, and soon his attention was turned towards the east. Leeb’s replacement in charge of the newly-renamed Heeresgruppe Nord was Generaloberst Georg von Küchler. Küchler was tasked with the northern sector in Operation Barbarossa, and was assigned the goal of taking Leningrad. Unlike Leeb, Küchler was unable to hold Tikhvin for very long, and the Red Army’s first victorious offensive came on November 9, 1941, when the Soviet 4th Army under Kirill Meretskov successfully repulsed the Germans along a wide front. They would never get any closer to Leningrad. With Leningrad open, the supplies from the Lend-Lease program are far more wide-reaching. The horrors of Stalingrad still occur, as the Soviets never realize Hitler’s intent to attack in the south. This proves a fatal decision, however, when Soviet armies complete the encirclement not just of Paulus’ 6th Army, but of the entire German Army Group South. Divisions are rushed from all over Europe to the Eastern Front – but it is far too late. With the German presence in Switzerland down to a paltry five divisions, the Swiss are ready to take back their country. When the Allies open their second front in France on May 6, 1944, the Swiss emerge from their Alpine shelter and quickly retake Switzerland. Divisions of the Swiss Army link up with General Patton’s Third Army in late July, and in recognition of the Swiss victory, torches are lit across the country on August 1, echoing the centuries old tradition. 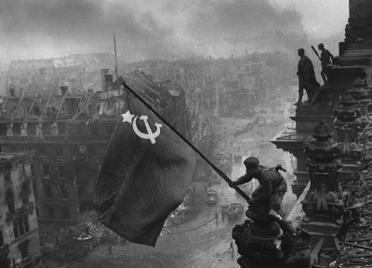 The Soviet flag is raised over the Reichstag in Berlin; November 3, 1944. The Allies are across the German border by October, but General Eisenhower decides to put on the brakes and halt both Patton and Montgomery. Flush with victory, the Red Army marches triumphantly into Berlin in November of 1944. This is perhaps an outlandish scenario described above. The capability of the Swiss Army to survive for that long is by no means assured; even in 1941, after the positioning of the army in the Redoubt was completed, there were enough supplies to last for only five months. Nevertheless, it would not have been a particularly arduous task to conduct raids into the various surrounding countries and the lowlands for provisions. Obviously, I have strayed from the ‘minimal rewrite’ rule in several ways, not the least of which is the assassination of Leeb. Even less likely though is that no one would have tried. Any sort of ‘normalized’ Switzerland under German rule was a remote possibility, given the total will of the Swiss people to fight and the absolute refusal to surrender under any circumstances whatsoever. The Federal President, as one of several rotating heads-of-state, had no authority to surrender the country, and so it is nebulous at best as to whether there could have ever been an ‘official’ capitulation. I am fairly confident in my imagined casus belli, as clearly Guisan was worried about the same (hence the order to cease any hostilities with foreign aircraft). The probability of such a confused dogfight occurring may not be high, but a ‘minor incident’ such as that would have been all it took for Hitler to ‘snap’ and commit his troops to an ultimately unwinnable war. The increased bombing of jewel bearing factories is not the most likely reason for Hitler’s crazed fixation on wiping out Switzerland; it is probably more logical a excuse than Hitler would ever need. It is a fact, though, that Switzerland was by far the largest supplier of jewel bearings to virtually every country in the world. Until the Germans began intercepting the shipments, jewel bearings were routinely mailed via normal post to Allied countries, and the loss of that supply was a near-major setback for a while. The ease with which Germany takes Switzerland is perhaps overstated, as well. Certainly the Gebirgsjäger troops that the Wehrmacht had been training for years were among the best in the world. A Swiss Campaign probably could have gone both ways – obviously, there would have been higher casualties (as any number is greater than zero), but there was also the possibility of much-needed first-hand experience. Operation Silberfuchs (Silver Fox), the German assault on Murmansk, was one of the largest campaigns where the primary combatants were all mountain- and ski-trained, and so the German defeat that took place there in real life might very well have been reversed with battle-tested, veteran troops. Again, it may be imparting too much greatness to one man, but the skill of Wilhelm von Leeb in prosecuting his sector of Operation Barbarossa cannot be overstated. As in Moscow and Stalingrad, the Germans came this close to taking the city, and a lesser, or even fresher commander could have easily suffered a worse defeat. It is also possible that a different commander, or the granting of the command to Küchler before the unit entered combat could have seen better results, but here I have opted for the former. History has unfolded with the reputation of the Swiss damaged. I have not delved as deeply as I would have liked into the Swiss wartime economy, or that resurgent debate in the 1990s over Switzerland’s relationship with Jews and the Holocaust. It is probably safe to assume, though, that as long as the Swiss refused collaboration or even accommodation with their occupiers, their reputation would have been magnified, as they no doubt would have produced perhaps the single most effective and active resistance movement in all of Europe. Even if Guisan had been defeated in battle, the strategy of the National Redoubt would have preserved an effective fighting force, albeit numerically inferior. The strength of the Swiss Army’s resistance would undoubtedly have done wonders for the country’s mythos, as the brave outnumbered Swiss fought valiantly and paid dearly for the attempt. The recent Swiss referendums on abolishing the army are a direct result of the lack of combat in World War II. 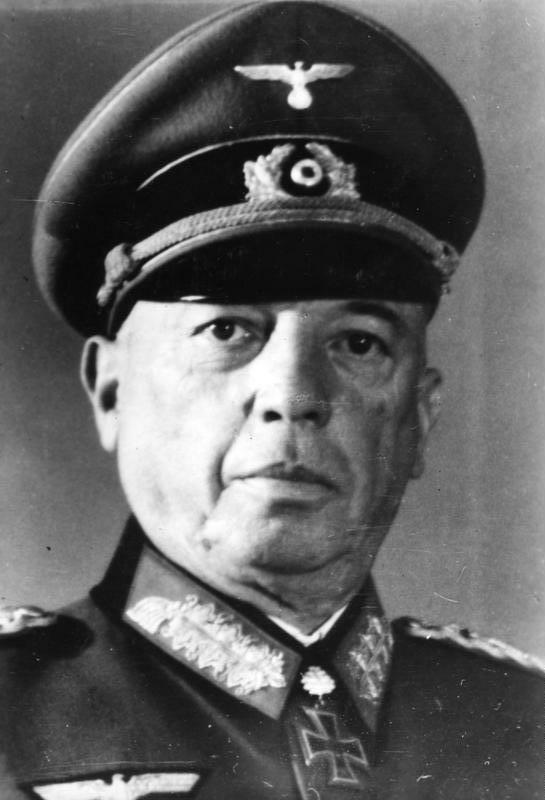 Perhaps it is hard to discern just how effective a deterrent it served as, but in the final reckoning, Hitler and Guisan stared each other down – and the latter won. The survival of Switzerland has shown that armed neutrality may very well be the best guarantee of preserving that neutrality. An invasion of Switzerland would have devastated the population and the economy for decades, and it is fortunate indeed that Hitler never ‘bit the bullet,’ so to speak, and pulled the trigger. Had Operation Tannenbaum been a reality, we would look upon the Swiss as heroes and patriots, and truly the “Verteidiger der Freiheit.” But it also begs the question: what use do the dead have for heroes?